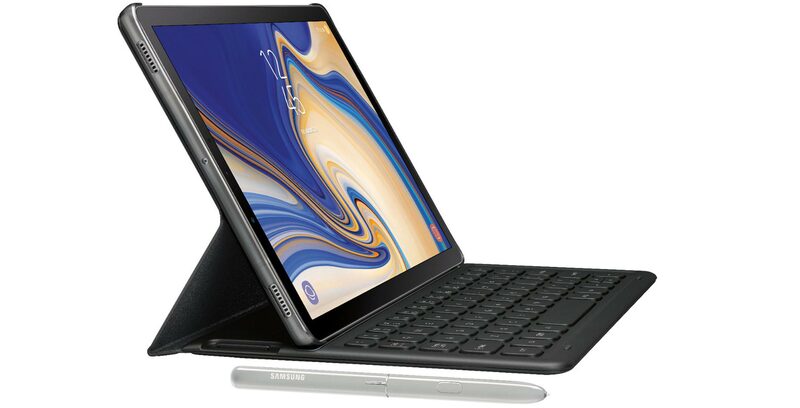 Preeminent device leaker Evan Blass has shared new images of Samsung’s upcoming Galaxy Tab S4 tablet. In a series of three images, Blass provides a comprehensive look at the unreleased tablet’s ‘White’ colour variant (to date, only renders of the black model have leaked online), as well as the optional keyboard Samsung plans to sell alongside the slate device. Additionally, the photos provide a detailed look at the Tab S4’s new S Pen stylus. Compared to the stylus Samsung shipped with the Tab S3, the one pictured in this new leak ditches the clip found on its predecessor and adds a glossy finish to the mix. Samsung is likely to announce the Tab S4 at its upcoming Note 9 Unpacked event on August 9th. On Tuesday, a render of the front of the Note 9 leaked courtesy of Android Headlines.